In case of fire exit signs can save lives. The Lighting Spot features LED exit signs to comply with building fire codes and insurance standards. These energy-saving, illuminated, long-life LED exit signs use less than 5 watts of power, lowering your energy consumption and saving you money every month. 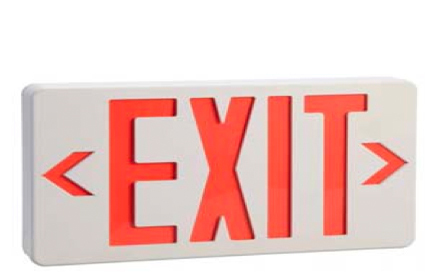 We offer a wide range of designs and features for LED exit signs.